This term’s ‘Next Step’ workshop will take place on Sunday 15th October and is entitled….. 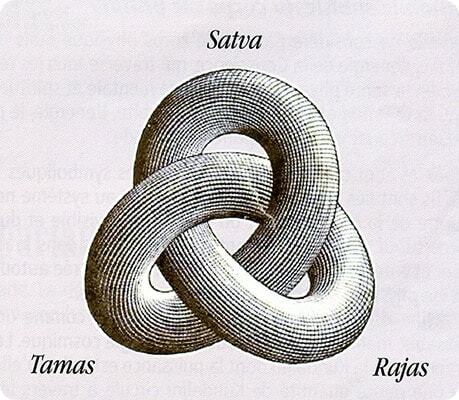 Although all 3 energies (Guna) are always present and available, the current play of creation is largely governed by Rajas (activity) and Tamas (regulation). Whilst we cannot change the dominating guna within the creation, we can observe what is governing ourselves at any one time and if appropriate take steps to lessen the effect of the dominating guna or even change it. We shall spend the day discussing, reflecting and observing the play of the Guna within society and ourselves. This will be a very practical down to earth enquiry with a light (sattwic) touch. The workshop is on Sunday 15th October 2017. The school will be open from 9am for coffee, tea and biscuits with the workshop starting at 9:30am and finishes at approximately 4pm. The tutor for the day will be Stephen Davy. The cost for the day to include all refreshments including a beautiful vegetarian lunch is £22. The effect of a day like this is always light, peaceful and uplifting and it is a marvellous opportunity to practice philosophy in the good company of like minded people. To reserve your place on this workshop enrol below. Please note this workshop is designed for present members of the school only, from part 4 (Presence of Mind) onwards.